Detroit is a major city in the United States known for its automobiles, arts and music culture, world-class museums and an exciting travel destination for technology aspirants. KnowledgeHut presents the CSD certification in Detroit to help aspirants kickstart a career in Scrum practices and Agile engineering technologies. The CSD training in Detroit will build strong foundations in Agile engineering technologies and Scrum practices. 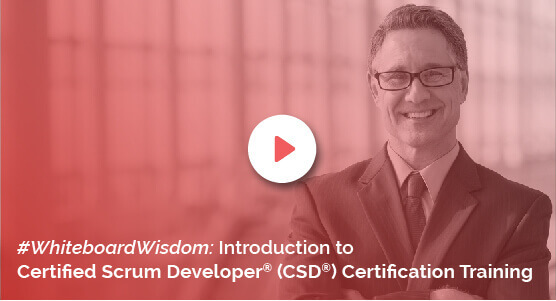 By enrolling in the CSD course in Detroit, you will learn about the fundamental concepts of the Scrum pipeline and master implementing them in real-world software creation projects. The Certified Scrum Developer Training in Detroit is divided into two tracks - the CSD intro and elective track (Track 1) and the technical track (Track 2). Track 1 covers the basics like Scrum and Sprint differences, discussion on the essence of Agile, and learning the differences between Scrum artefacts and ceremonies. Track 2 covers hands-on orientations and practice sessions with live projects which include refactoring exercises, sharing code samples on TDD, and discussing test-driven developmental practices. Aspirants who complete both the tracks of the Certified Scrum Developer Certification in Detroit will gain 40 SEUs and 40 PDUs in total at the end of the course. Holders of the CSM credential can progress directly to Track 2 and skip Track 1 in favour of 24 SEUs and 24 PDUs at the end of the course. The courseware is downloadable and certified by the Scrum Alliance which also comes with a two-year membership in the Scrum Alliance. The CSD certification in Detroit will kickstart your career in Agile engineering and industry Scrum development practices. You will learn how to implement concepts to software development trends and incorporate better design alternatives. To learn more, enrol into a demo session at the KnowledgeHut Academy.